Abba Patio market umbrella cover featured with durable and stylish fabric perfect for protecting your patio umbrella against sun, rain, snow and dirt year round, ensuring their use for years to come. Easily fitted and removed, just slip this durable cover on when needed or fold and store with a box when not use. 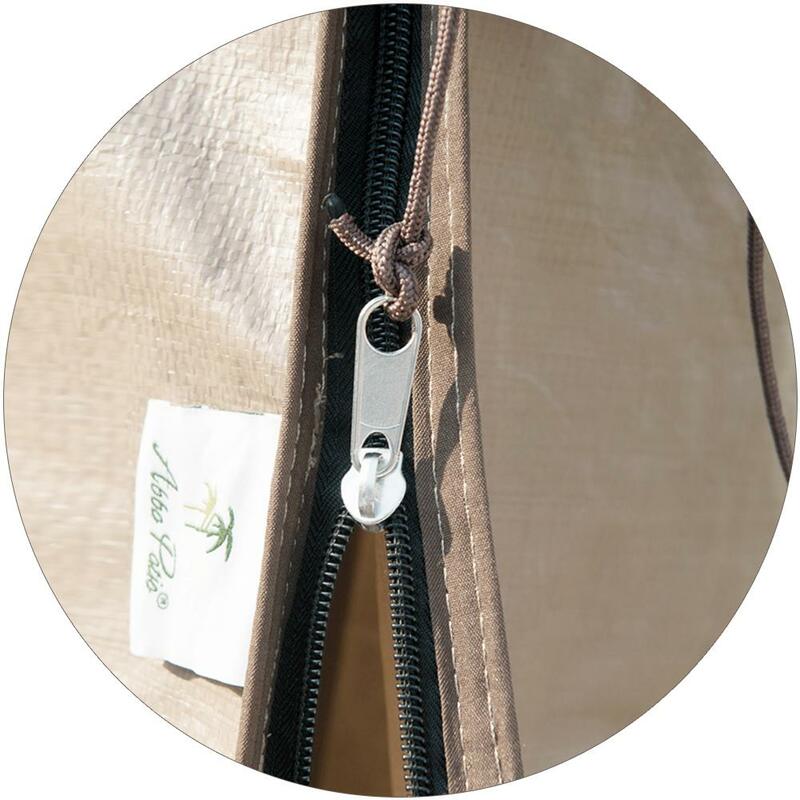 Sturdy zipper with long reach drawstring for easy zipping and unzipping. 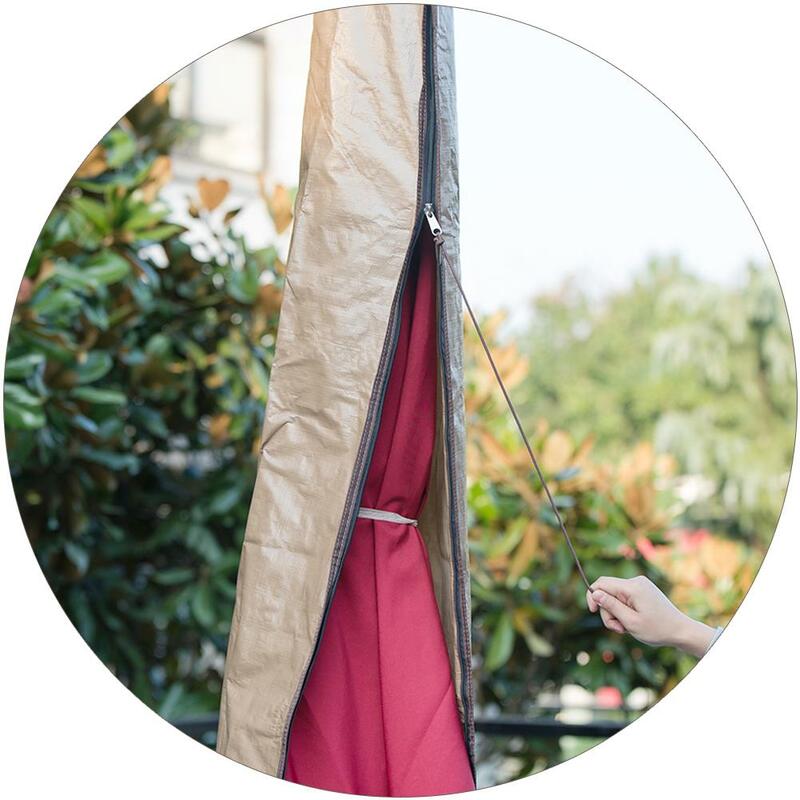 Polyethylene fabric with specially treated increasing UV protection, so it resists fading and fabric breakdown due to prolonged sun exposure and weather-resistant. 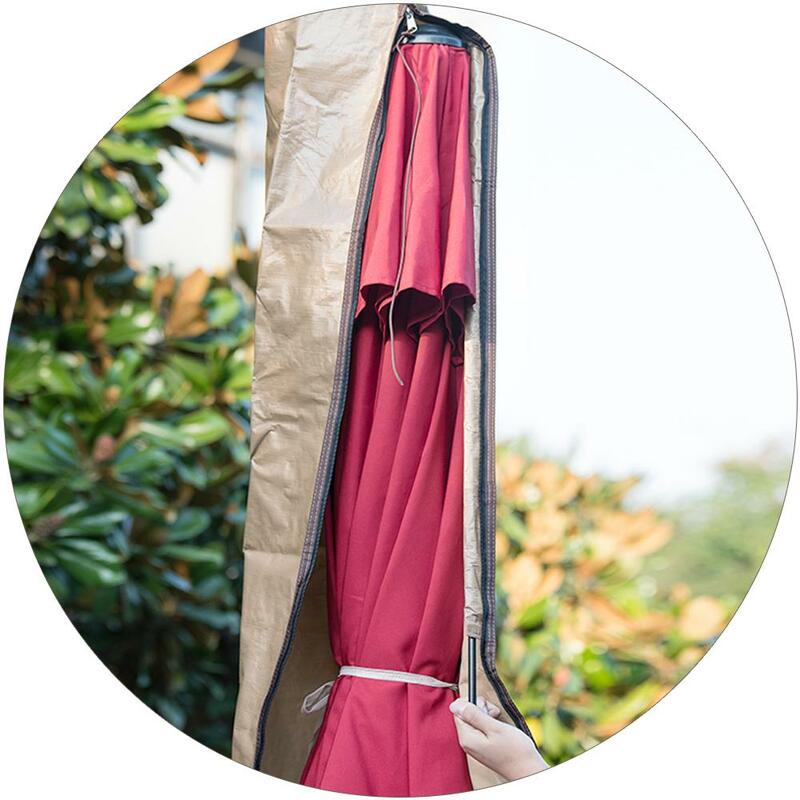 High-reach rod which will allow you to put on and take off the cover while the umbrella is still in the stand. 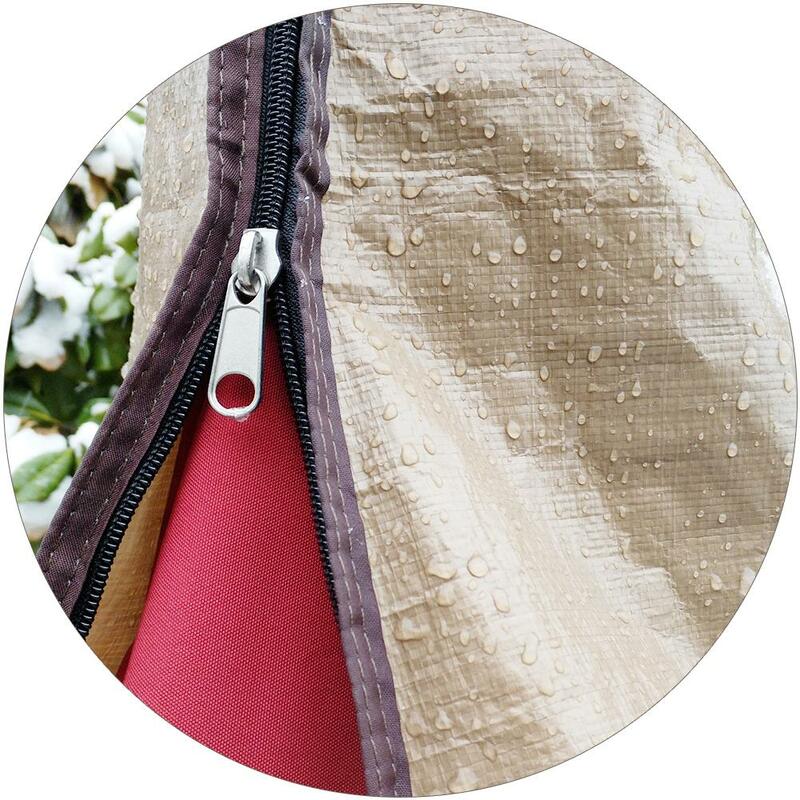 Double-stitched seams will add strength and show you a stylish accent. Protect your patio funiture against sun, rain, snow and dirt year round with our Abba Patio Funiture Cover Collection. Offerring a variety of type cover, such as swing glider cover, table cover, chair/sofa cover, chaise lounge cover, cushion storage bag, fire pit cover and so on. Universal design and kinds of sizes fits outdoor funiture of different brand and style protecting your furniture season after season.